Residents on a string of coral-fringed islands off Jakarta’s coast are battling a tidal wave of trash, with more than 40 tons of rubbish collected daily over the past week, an official said. It is the world’s second-biggest contributor to marine debris after China, producing about 1.29 million metric tons annually. This week’s clean-up operation is centred on an area known as the Thousand Islands, a popular day trip from the traffic-clogged capital. 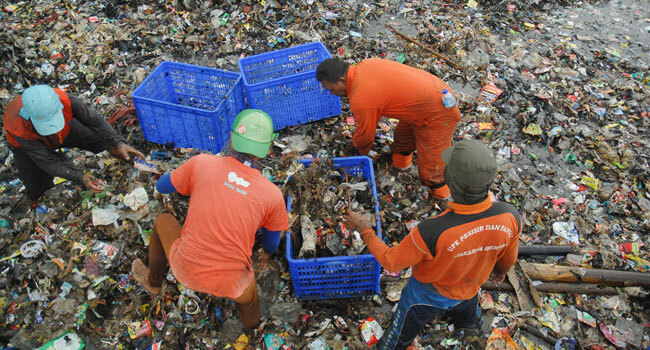 Indonesia, an archipelago of more than 17,000 islands, has pledged to reduce marine plastic waste by 70 per cent by 2025.